Any one of us has got a story to tell about forgiveness. Not many people can go through life without being the target of some injustice, deceit or wrong-doing. And quite rightly we feel anger or sadness at whoever has treated us with unkindness or deceitfulness. When somebody treats us badly, it is only natural to feel anger or frustration against that other person. But it’s when we hang on to that anger, when we don’t let go, that’s when it can cause us significant harm. By hanging on to anger, we destroy our sense of well-being and our inner peace. If somebody has caused us pain, we continue that pain by not letting it go. Anger and resentment hold us in the past and stops us from moving on. Forgiving someone is not something you feel. It’s not an emotion. You can feel angry or upset and still forgive the person that caused you to be so. In order to forgive and let go, you need to start by deciding to forgive. That is your first step. If you are waiting to ‘feel’ forgiveness, you may be waiting a long time. Your willingness to forgive is key, even if you don’t know how. 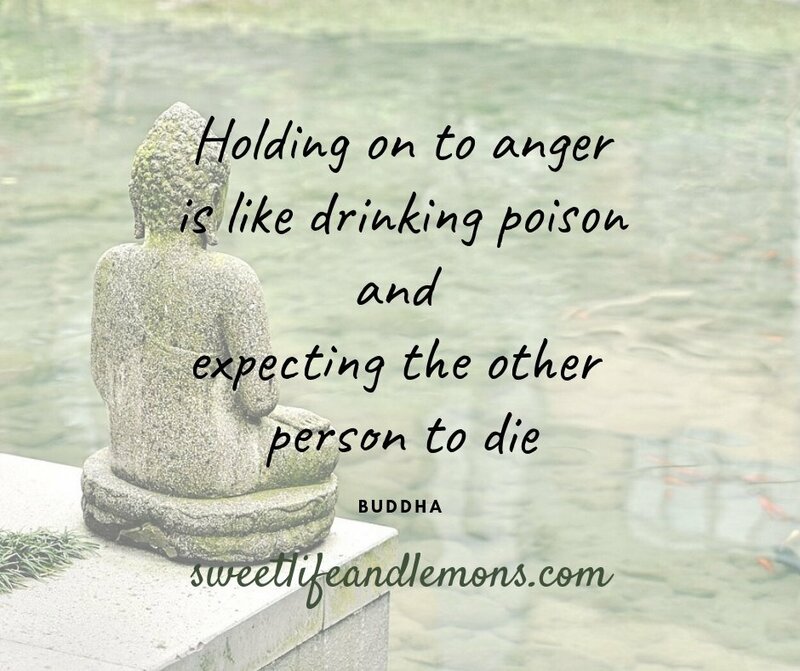 If you can do this, then you can move on to letting go of the anger and resentment. What could have driven this person to hurt you? Where does that behaviour come from? 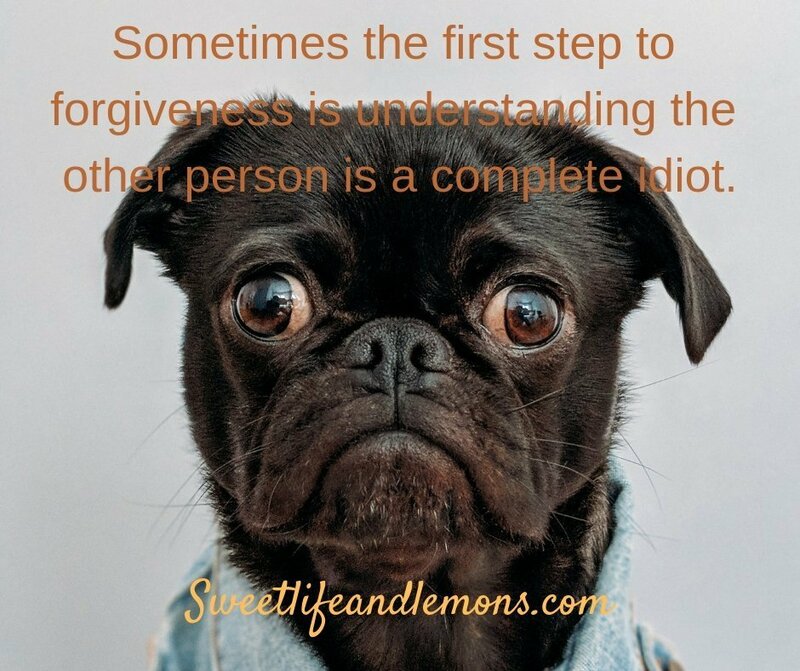 To forgive is to understand the origins of bad behaviour. Remember that forgiving doesn’t mean to accept or condone the wrong-doing. Forgiving is about understanding the reasons behind that behaviour. To give a simple example, if somebody has lied to us, they may have been frightened to tell us the truth. Try and find what possible reason there could be for their behaviour, even though that doesn’t excuse it. To forgive is to understand the origins of bad behaviour. We often forget to forgive ourselves when we try to forgive others. “How could I have been so stupid!”, “why didn’t I say something sooner?”, “how did I let this go so far?”. Sounds familiar? We often put some of the blame onto ourselves and we need to remember that we need to forgive ourselves too. When somebody wrongs us, it is not a reflection on us, it is a reflection on their behaviour. So don’t blame yourself for somebody else’s actions. It’s important to remember that to forgive doesn’t mean to forget, and it certainly doesn’t mean that we have to put up with any further bad behaviour or trust the person we are forgiving. We can decide to leave that person out of our life, while still forgiving them and wishing them well. When we don’t forgive someone it is usually because we keep going over what they did and relive the moments that hurt us. It is impossible to move into the future when we still have one foot (or both) in the past. It holds us back and we are not able to grow as a person and become who we are destined to be. People who have motivation and purpose and plans for their lives tend to find it easier to forgive. That is because they are forward thinking, they have ideas and thoughts that are giving them momentum to look forward to their future. Making the decision to forgive, even if it is difficult, is the realisation to let go of the past. And therefore we are able to move on. When you choose to forgive somebody, you are releasing them from anything that you feel they owe you. You are choosing to set them free from any obligations to you. In releasing them from that debt, you are setting yourself free. I’ve heard people say: “I’m not going to forgive them, they don’t deserve my forgiveness”. Or “I’m going to let them stew, they deserve to suffer!” The only person suffering is yourself by holding on to the anger and bitterness. Whether you forgive the person or not, makes no difference to their lives. But it will make all the difference to yours. Remember that this person may never even find out that you have forgiven them. Forgiveness is for your benefit, not theirs. Your forgiveness is for your own well-being, this is all about you, not them. The person we choose to forgive may not be in our lives anymore, so it really is all about you and how forgiving is helping you to heal. It’s easier to forgive when somebody says sorry or expresses regret for what they did, but very often the apology never comes. Remember the paragraph above: you are doing this for yourself, not the other person, therefore it doesn’t matter if they feel sorry or not. Your peace of mind doesn’t depend on their feelings of remorse. The person that wronged you doesn’t control your feelings, you do. When we hold on to our anger and resentment, we fail to grow from the experience. Instead, we can use the betrayal or wrong-doing as a lesson or a chance to find out more about ourselves. We can look at the situation and ask ourselves “what is it that I can change so that I feel different?” Or what can we change about ourselves that avoids any similar situations in future? We need to look at the situation from a less ego-driven perspective. It’s no good thinking negatively and being angry. It’s better to think of what we can do to grow from the experience and what lessons we can learn. Maybe we can set better boundaries in future or make more informed choices. Always approach these thoughts from a position of learning, not from blaming yourself. 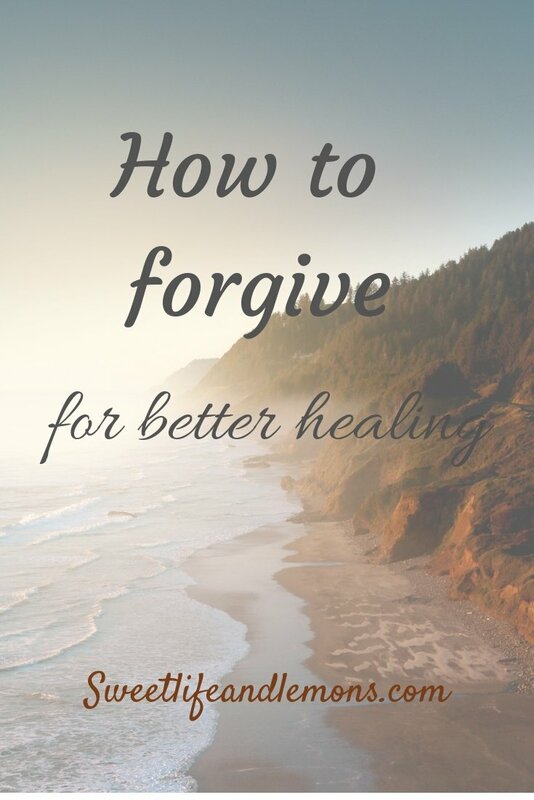 Forgiving is a wonderful positive step towards healing and towards finding peace of mind. It may be a gradual process, and it’s not easy, but so worthwhile and an essential part of growing spiritually and emotionally. It’s a step towards living your life with positivity and inner peace. I hope you found this post of interest and help. 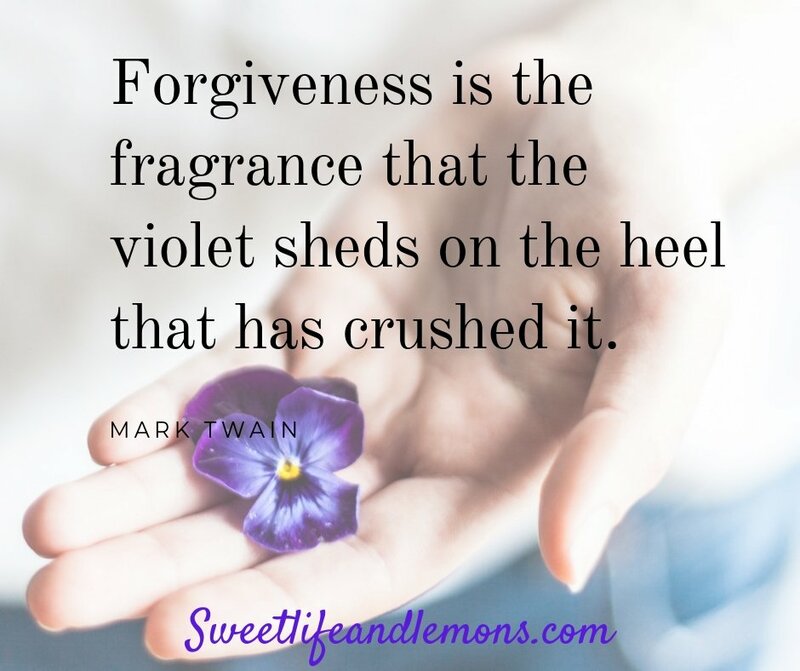 I’d love to hear about your experiences with forgiveness and whether you have found it difficult or easy. Let me know in the comments.